Roasting citrus makes it more intense and fragrant. The inspiration for this roasted citrus drink is an incredible cocktail at Monica Pope’s Sparrow Bar + Cookshop in Houston. In a small roasting pan, roast 3 lemons quartered lengthwise with 3 fresh bay leaves at 400° for about 20 minutes, until the lemons are softened and browned in spots. Scrape the lemons, bay leaves and any pan juices into a large pitcher. Muddle with 1 cup superfine sugar, 3 cups water and 1 cup plus 2 tablespoons vodka. Let cool, then refrigerate until chilled. 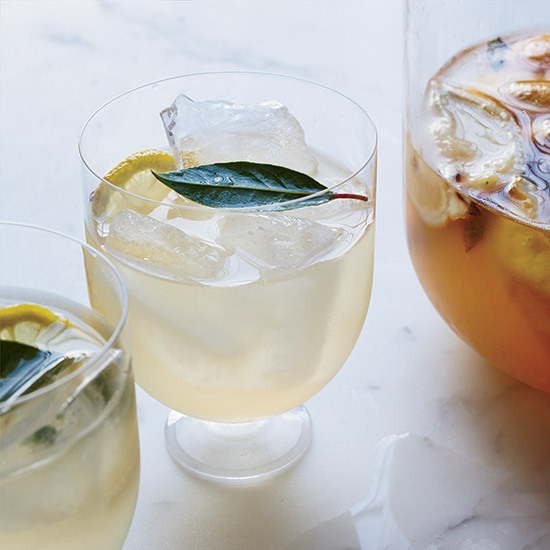 Strain the lemonade through a sieve into 6 ice-filled glasses. Top each drink with 3 tablespoons club soda and garnish with a lemon wheel and a bay leaf.